A big topic of conversation during Tim Murray’s final press conference centered around Dan Bylsma’s effectiveness as Buffalo’s head coach and what appears to be a rapidly closing window on his tenure. Prior to jumping into the outlook on Bylsma, Chris and Tyler offer up their playoff picks, some of which look a bit iffy after just a day and a half of action. Jerry Sullivan put his hockey writing shoes on this week to pen a column on the failings of the Buffalo Sabres. I always look forward to his Sabres coverage because it’s impressive that someone who gets to one game per season has such a solid grasp on the pulse of the franchise. There was no escaping the Jimmy Vesey debate last year, especially after the Sabres acquired his rights from Nashville. Will he or won’t he sign? He’s playing with Eichel in the summer, is that a sign? Now Sabres fans are enduring the same angst as they wait for news regarding Cal Petersen. Should he choose to leave school, Petersen could become a free agent on June 1 and test the waters around the league to see which feels best. Like with Vesey, it’s a right he’s entitled to via the CBA. Aside from Petersen, his family, advisor and maybe Tim Murray, no one really knows what’s going on at this point in time. But it stands to reason that the longer Petersen goes without a contract, the more likely it is that he’s going to hit the open market. 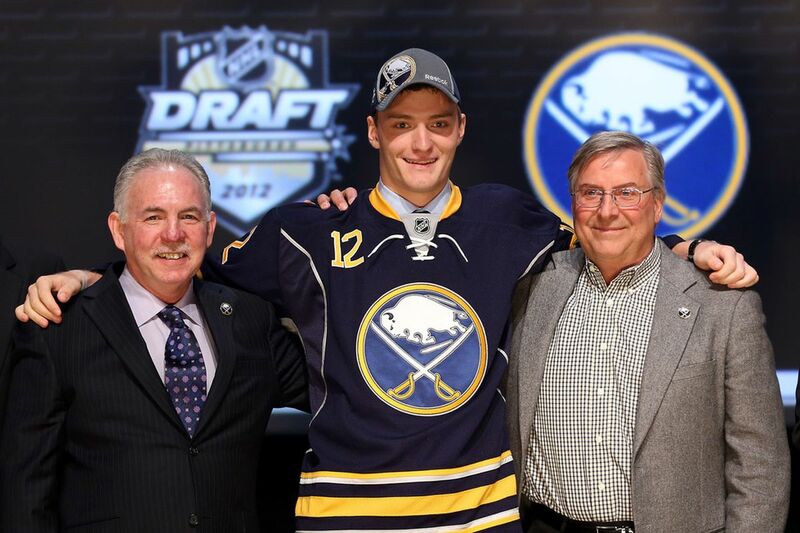 The Instigator Podcast 5.39 – Who Should the Sabres Protect in the NHL Expansion Draft? Ennis? Bogosian? Moulson? Ullmark? Will the Sabres manage to pawn off a big salary on the Vegas Golden Knights or will Tim Murray have work to do in terms of which players he exposes and which players he protects. Chris and Tyler run down Buffalo’s options for the expansion draft while also hitting on the signing of CJ Smith, USWNT negotiations and Sam Reinhart’s benching.